We are currently looking for a great self-starting individual with a minimum of 5 years of experience. The right candidate for this exceptional opportunity will be able to exhibit passion for excellence, have a true love for hospitality, possess a flair for service, and lifestyle. This candidate should constantly thrive for a seamless member experience with a can do approach and an “above and beyond” mentality. NEUEHOUSE bartenders will work the stand alone restaurant as well as the Radio Tower restaurant and mezzanine in the multi-story, multi-function modern office and events facility. This role is highly visible and acts as the front line and direct daily contact with the members and their guests. A level of sophistication and comfort level around renowned personalities is preferred. NeueHouse, located in the historic Columbia Square CBS Radio Building and Studio on Sunset Boulevard-Hollywood is a private membership work collective intended for both solopreneurs and those leading teams of up to 10 people, it is a complete rethinking of the ideal working environment for today’s creators in such fields as film, design, fashion, publishing, the arts and tech. • Lead restaurant guest interaction and guiding of members throughout the dining experience. • Ensure service style and standards are met and guest expectations exceeded. • Continually thrive for a better understanding and education on NEUEHOUSE offerings, be they food, liquor or other beverage. • Lead members and guests throughout venue, literally and figuratively. • Act as a brand ambassador on LA property as well as other NEUEHOUSE news. • Possess a general knowledge and understanding of Los Angeles current events, cultural and culinary happenings. • Act as a liaison between the community and the operation. 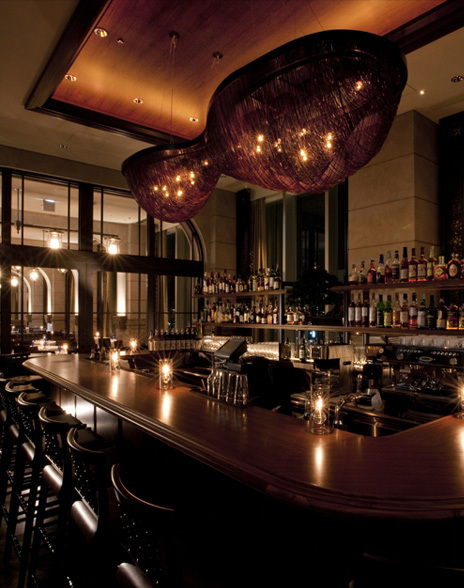 • Prior experience as a bartender or mixologist, in a fine dining or upper casual environment. • Ability to create, replicate and standardize cocktail recipes to specifications. • Must have 4 or 5 star background, knowledge and ability to implement such standards. • Must be able to speak, hear, understand, read, and write the English language. • Must have a strong customer service aptitude. • Must possess well developed leadership skills. • Ability to implement and uphold service standards. • Effectively motivate associates and to maintain cohesive teams. • Ability to prioritize and organize work assignments. • Ability to work well in stressful, high-pressure situations. • 5 years experience in a similar position at a four star style Hotel or Restaurant. • Previously worked with multi-unit operations from fine dining to casual. In return for your excellent skills and abilities, we offer an excellent benefits package which includes: salary, paid vacations, performance bonus, and health insurance. This is a great exciting opportunity to be part of a high end high performing team that will become the definition of culinary and lifestyle in Los Angeles, California. We thank all applicants. Only those selected for a phone interview will be contacted.